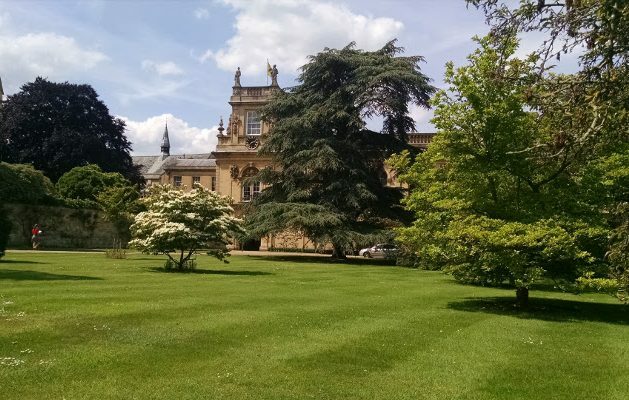 Following the launch of John Reader’s latest book “Theology and New Materialism” at Trinity College, Oxford, a group of the attendees continued to meet occasionally at the college to discuss some of the issues arising from the book, funded by the William Temple Foundation. We were particularly interested in how some of the ideas in the book impact on environmental thinking. One afternoon I (Martin) engaged in an interesting discussion with a group representing a wide range of churchmanships. We all agreed that evangelicals held a very prominent position in environmental work within the UK, but were not sure why. I remembered the survey of Church of England ordinands that Lizzie Rushton did for her undergraduate thesis and that we wrote up as a JRI Briefing Paper and consulted it. From the survey it seemed that evangelical ordinands were, “more in favour of the idea that humanity ruled over or had dominion over the Earth, were more likely to see evangelism and social equality as important issues when compared to the environment, and were less likely to see creation as the primary disclosure of God.” If anything, the evangelical ordinands seemed rather less friendly towards the environment than those from other parts of the church. So much for that idea! And then I had a car journey with Margot and she came up with another suggestion. I will hand over to her at this point. One idea that came to me was that the green activist evangelicals might represent one particular strand of evangelicalism. This might explain their variance with the ordinands in Lizzie’s survey. It then struck me that many of the more prominent green evangelicals were from the international missions world. Some had parents who were missionaries and had childhoods abroad. Others studied, taught or grew up in mission colleges. Others began in more general overseas mission, supported by international mission agencies. My personal theological roots were nurtured at All Nations Christian College, whose history can be traced back to the Clapham Sect, with Wilberforce, Shaftesbury and Elizabeth Fry as activist nineteenth century heroes. I began to wonder if other green evangelicals had similar roots. Were we not simply ‘green evangelicals’ but ‘green missions evangelicals’? The other thought I had is the linkage between the green evangelical theologians and the green evangelical scientists. At university the science students who were Christians were typically members of the Christian Union, whereas the arts students spanned the CU and the more liberal chaplaincies. I think this is likely to be in contrast to the States where proportionately fewer scientists are evangelicals – why? In the UK, Christians in Science is very strong and there is much broader acceptance of the value of science in the evangelical world. There is still discussion about issues such as creation and evolution but theistic evolution is far more accepted. This means that an evangelical church is often a supportive place for a scientist. In terms of the theology and spirituality, evangelicalism is generally more definite than a liberal approach and fits more smoothly into a scientific understanding of faith. These are all vast generalisations and like any broad brush strokes can be critiqued, but it does explain the group of senior evangelical scientists in the green Christian world. So those are the two groups. What we have had over the last three decades in the UK has been a unique interaction between these two constituencies. The result has been a thriving evangelical Christian environmental movement. Dr Martin J Hodson is a plant scientist and environmental biologist. He is Operations Director for the John Ray Initiative (JRI). Revd Margot R Hodson is Rector of Wychert Vale Benefice (six churches) in Buckinghamshire. She is on the management boards of both JRI and A Rocha UK.